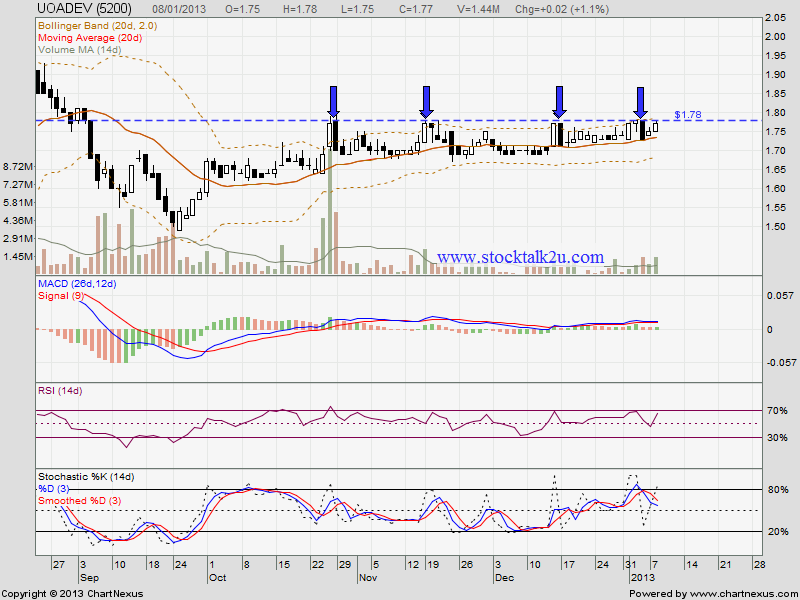 UOADEV still unable break through RM1.78 resistance level on 4th attempt. How about this round, 5th attempt? Immediate resistance @ RM1.78 level. Subsequent resistance @ RM1.82 level. Immediate support @ MA20 level. Subsequent support @ RM1.69 level. 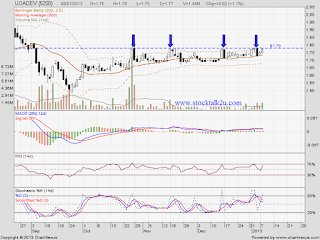 According last two attempt, the moment unable break through RM1.78, it will retrace down to MA20 support.